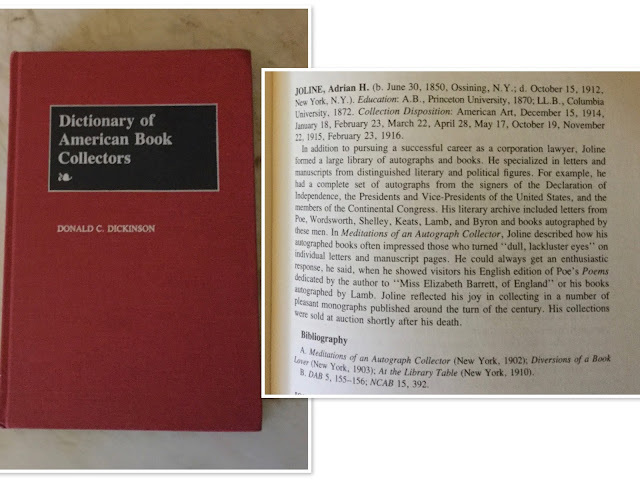 You will not find Adrian H. Joline or his book, At the Library Table, listed in Winslow L. Webber's 1937 bio-bibliography, Books about Books, or in Carl L. Cannon's 1941 book, American Book Collectors and Collecting. 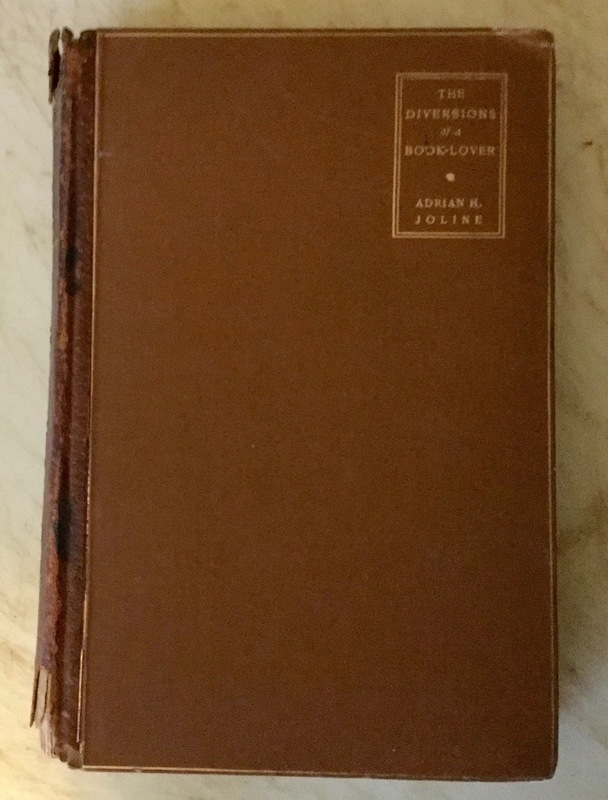 Nor will you find The Diversions of a Book-Lover, Joline's best book about books, listed in Webber or Cannon either. 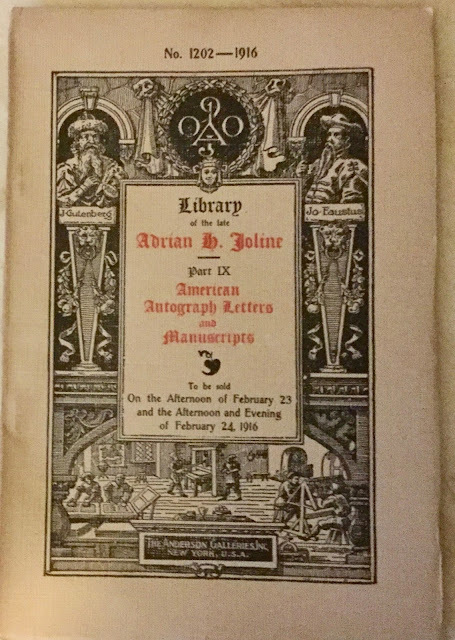 It may very well be that Adrian H. Joline's reputation as an autograph collector completely overshadowed his reputation as a book collector. 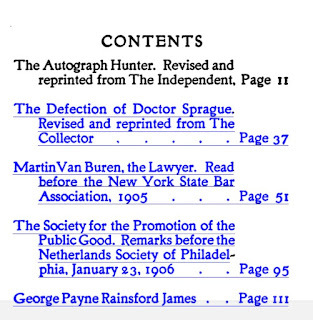 Joline had an extensive autograph collection that was second to none. 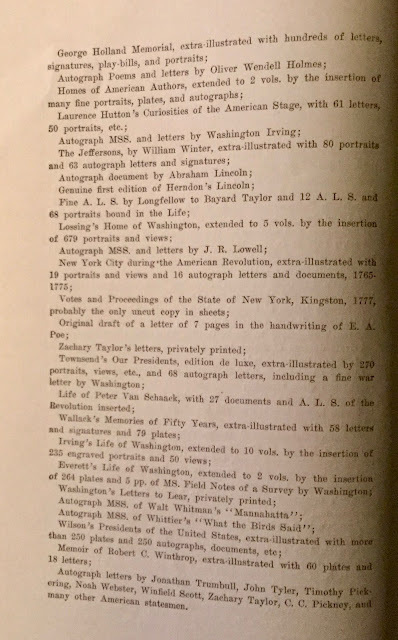 He had complete sets of the autographs of the Signers of the Declaration of Independence, the Presidents, Vice Presidents, Secretaries of State, Secretaries of War and more. Moreover, he wrote books about autograph collecting, and wrote a column for Walter R. Benjamin's periodical on autograph collecting, The Collector. The late Donald C. Dickinson recognized Adrian H. Joline's significance as a book collector and included him in his 1986 book, Dictionary of American Book Collectors. 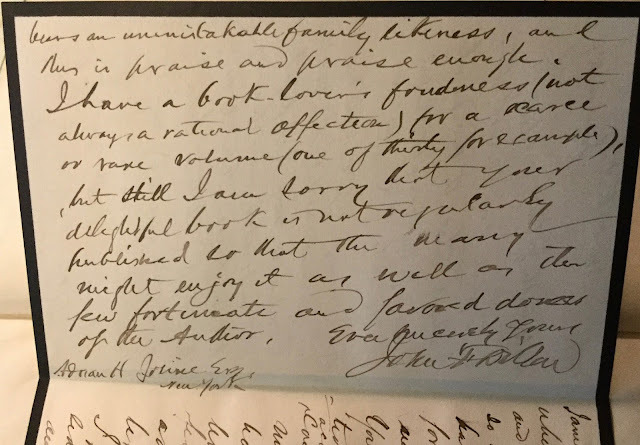 And Dickinson listed The Diversions of a Book-Lover and At the Library Table as two of the three sources for his bibliography, the other source being Meditations of an Autograph Collector, also by Joline. 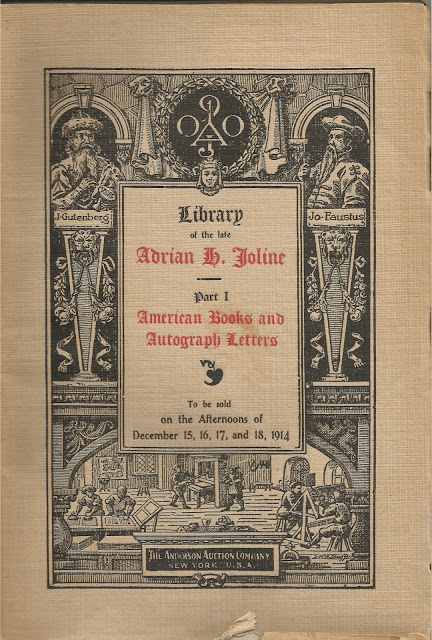 Adrian H. Joline (1850-1912) graduated from the College of New Jersey, Princeton, in 1870 and Columbia Law School in 1872, and was active in both alumni organizations (Joline Hall, a dormitory at Princeton, was named after him). 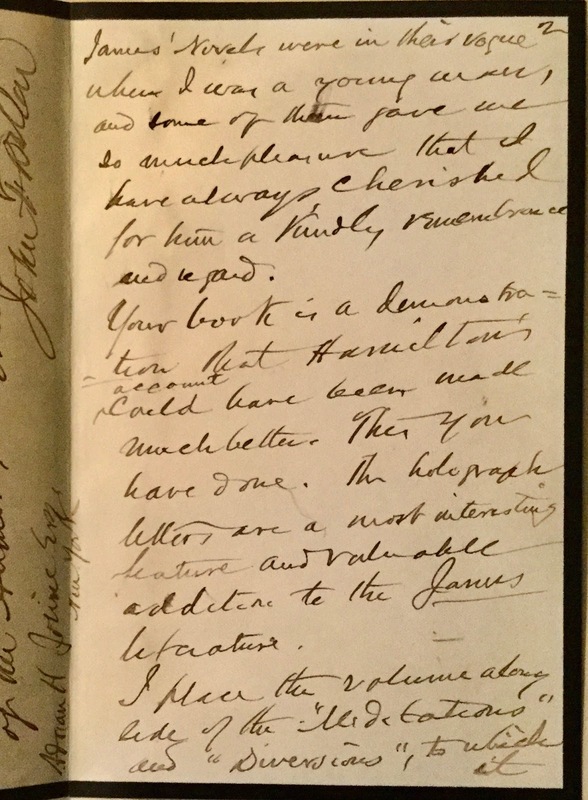 It is said that Joline died of sheer exhaustion on Oct, 15, 1912, mostly from overwork as Receiver of the Metropolitan Street Railways. 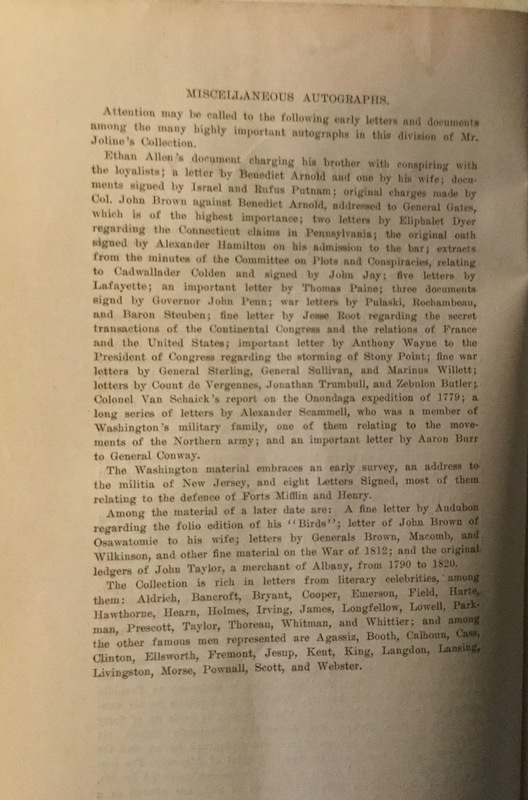 According to Prabook.com, at the time of his death, Joline was senior partner of the firm of Joline, Rathbone & Larkin, and director of the following railway and insurance companies: Albany & Susquehana Railroad Company, American & Foreign Marine Insurance Company, National Surety Company, and United Traction & Electric Company. 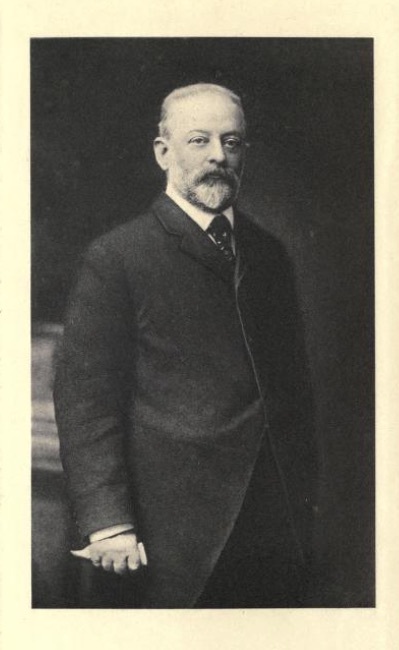 He was also the director of the Chatham-Phenix National Bank and the Receiver of the Metropolitan Street Railways. 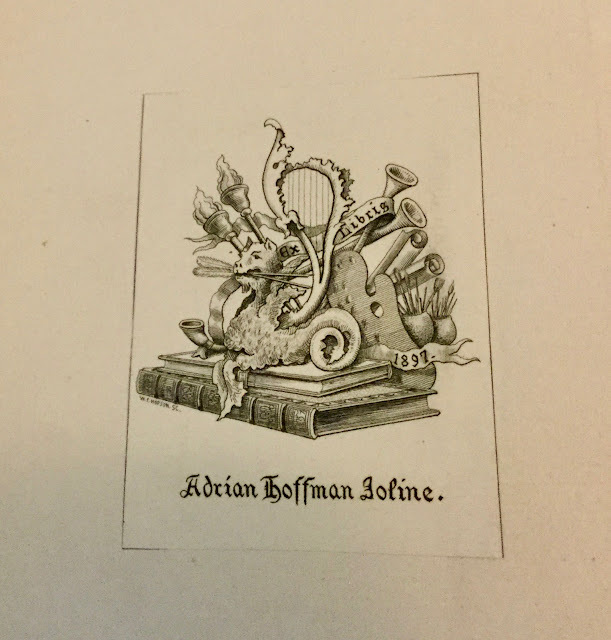 Adrian H. Joline was a member of the Grolier Club of New York, the Bibliophile Society of Boston, and the Caxton Club of Chicago. He was also a member of the Society of the Dofobs of Chicago. 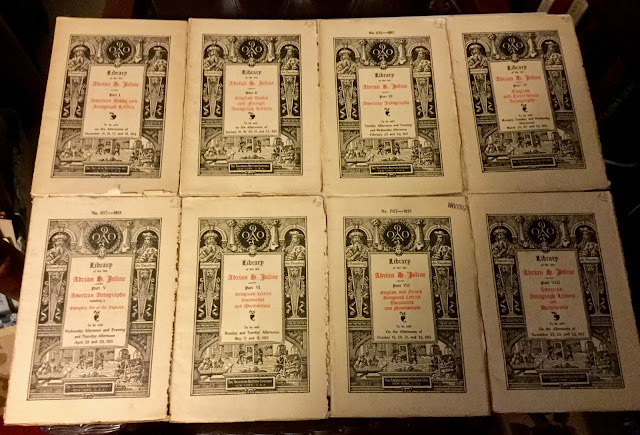 Yes, the Dofobs were real! The acronym reportedly stands for Damned Old Fools Over Books. 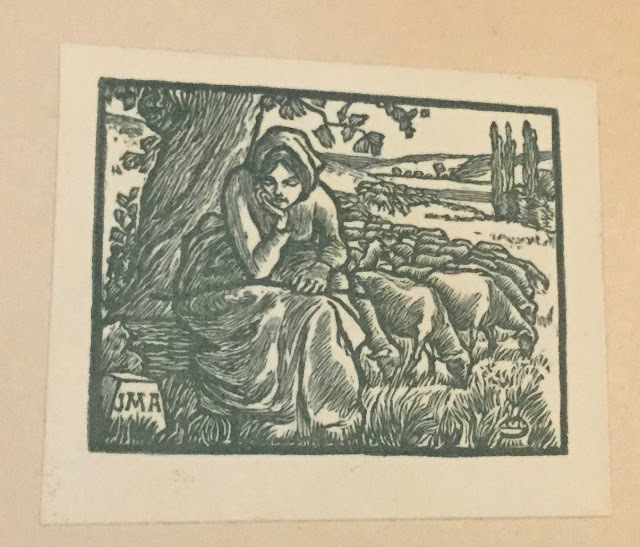 But if one chooses, the first word can be replaced with Darned or Dreary. 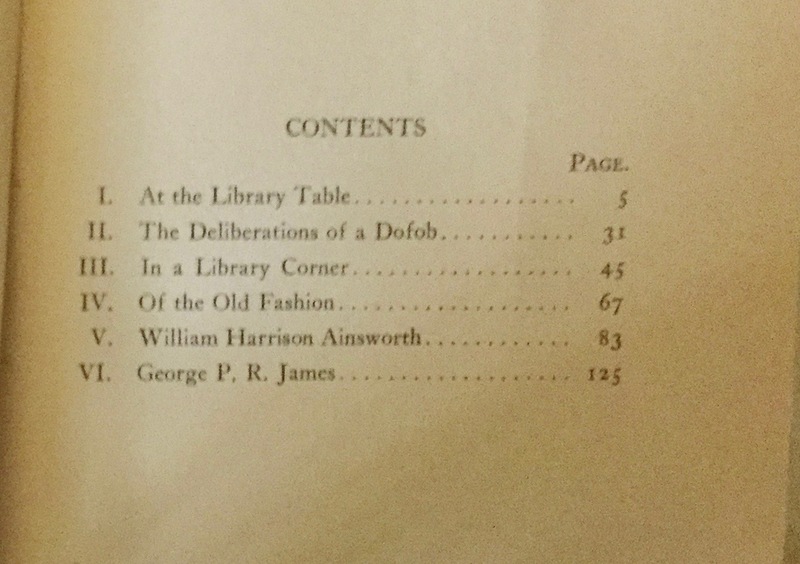 Joline's essay, "Deliberations of a Dofob," was first published in The Second Book of the Dofobs in 1909. 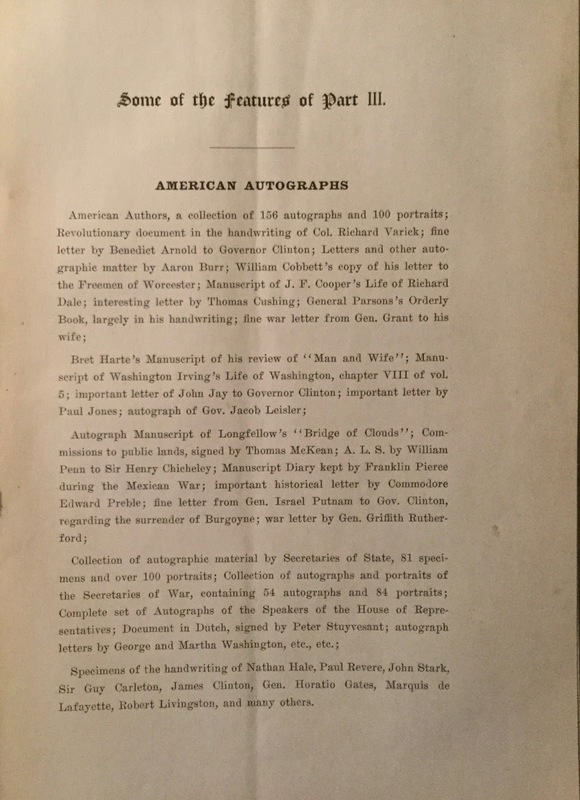 Only 50 copies were printed. 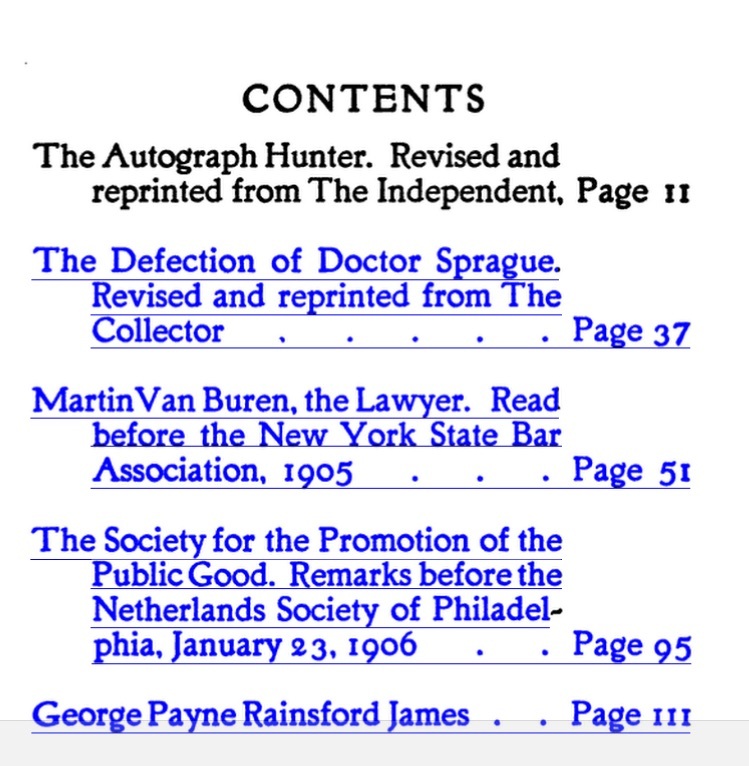 And I do not have a copy. 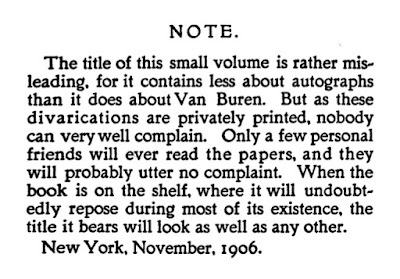 Nor do I have a copy of Joline's first book on autographs, Meditations of an Autograph Collector, published in 1902. I do, however, have a copy of his first and best book about books, The Diversions of a Book-Lover, published in 1903. 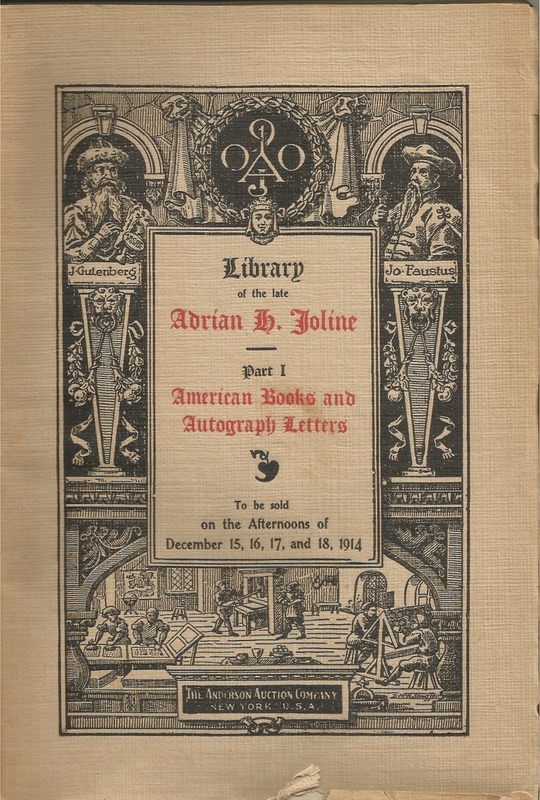 Joline combined both hobbies, extra-illustrating his books with autograph letters and portraits. 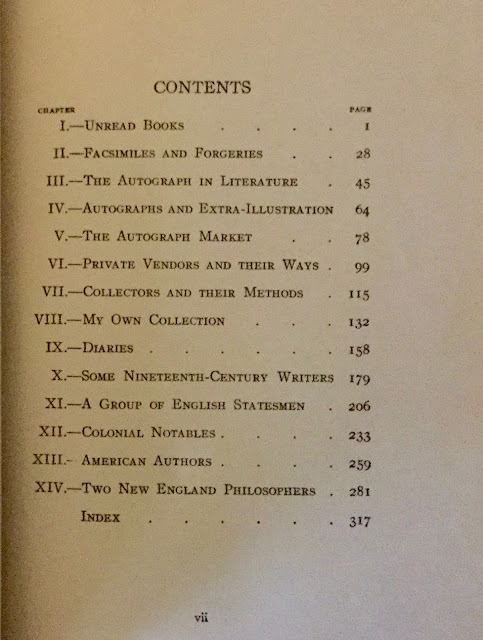 Technically, I don't consider this book to be a book about books because the first paper is the only essay that is related to book collecting. I also have a copy of the Third Year Book of the Bibliophile Society of Boston in which that essay first appeared. 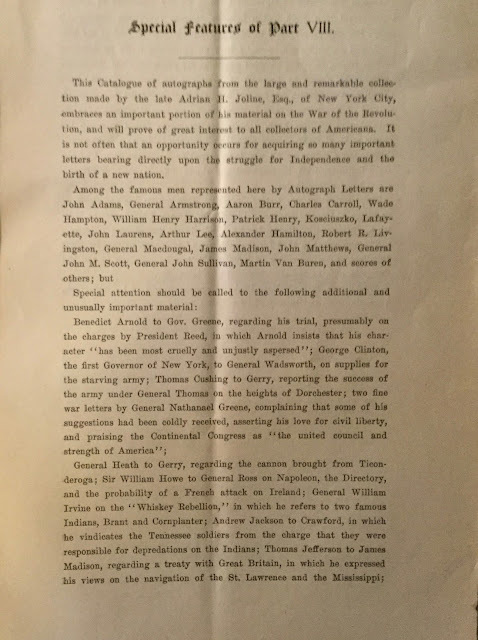 An excellent essay it is! Joline's friend, the renowned jurist John H. Dillon (1831-1914) was responsible for the inclusion of the paper on George Payne Rainsford James in this book. 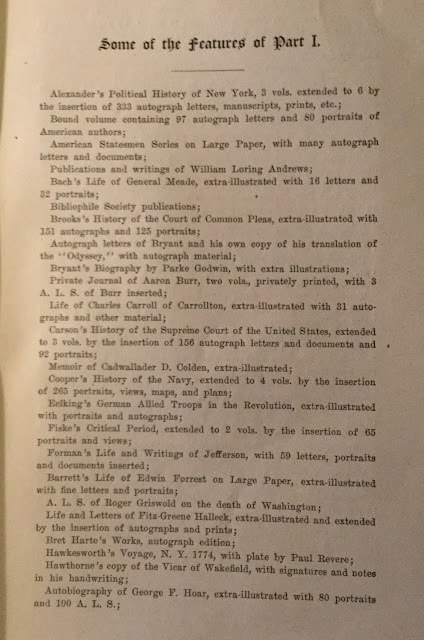 In the latter part of 1906, Joline had thirty copies of the James essay printed, and presented Copy No. 18 to Dillon. 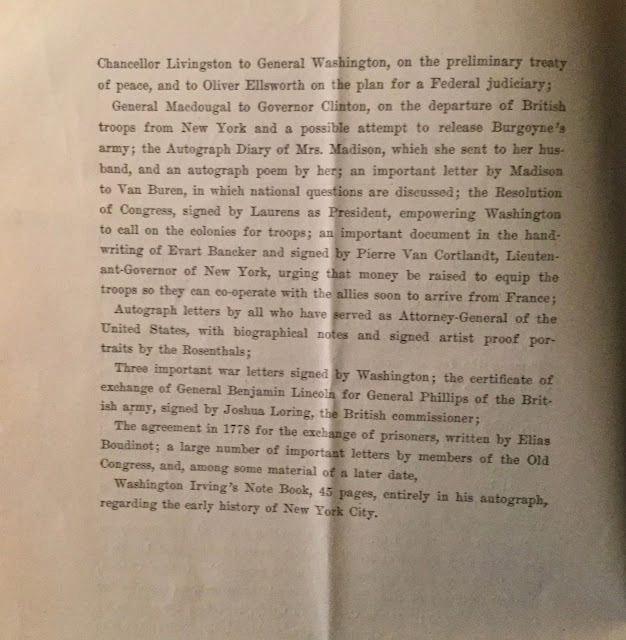 Pasted in the book is Joline's A.L.S. 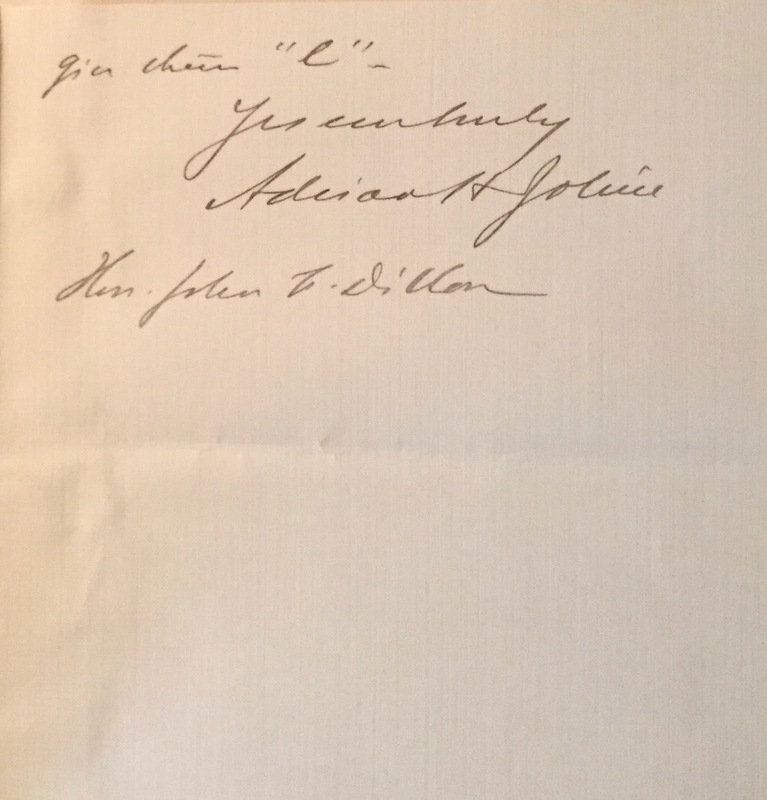 to Dillon, as well as a copy of Dillon's response to Joline. 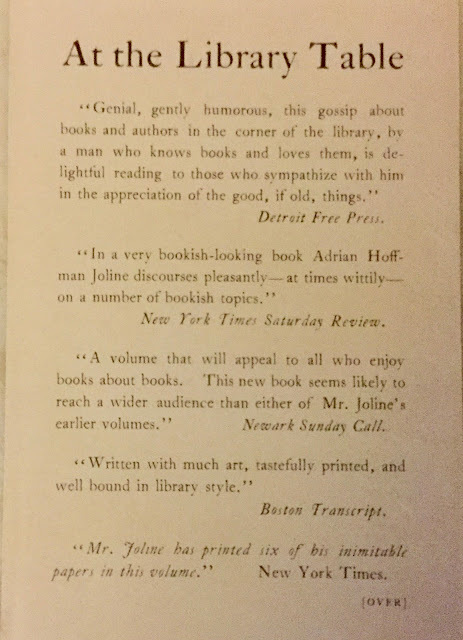 I have a book-lover's fondness for a scarce or rare volume (one of thirty for example), but still I am sorry that your delightful book is not regularly published so that the many might enjoy it as well as the few fortunate and favored dozens of the author. 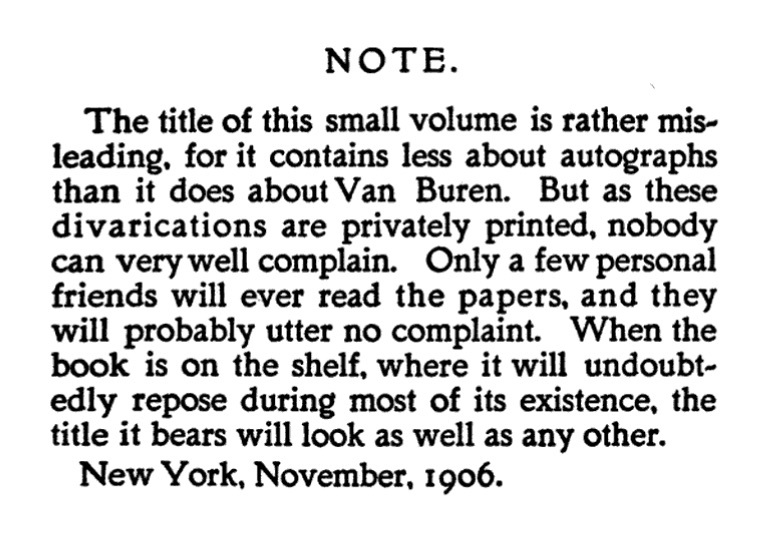 I have a rather humorous footnote to add regarding the purchase of this book. 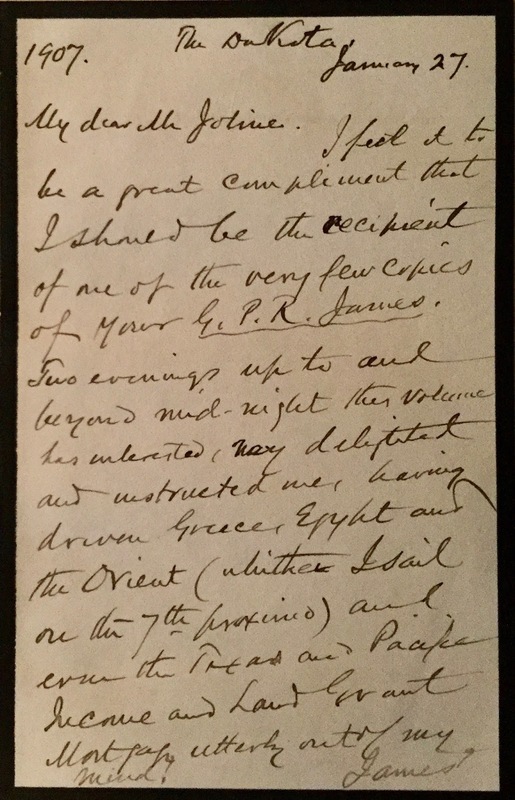 I acquired it on eBay, and the seller wrote that one of the letters was from George Payne Rainsford James. That would have been "heavenly," especially since James died forty-six and a half years before the letter was written! Next up is Joline's 1910 book, At the Library Table. I acquired my copy at Larry McMurtry's book town, Archer City, in June 2011. The Ainsworth essay, which was previously published in The Book Collector and Other Papers, and the James essay, which last appeared in The Autograph Hunter and Other Papers, were included in this book, but with minor revisions. Adrian H. Joline presented this copy to Joseph M Andreini, a member of the Grolier Club, the American Bookplate Society, and the Collectors' Club (stamp collecting). 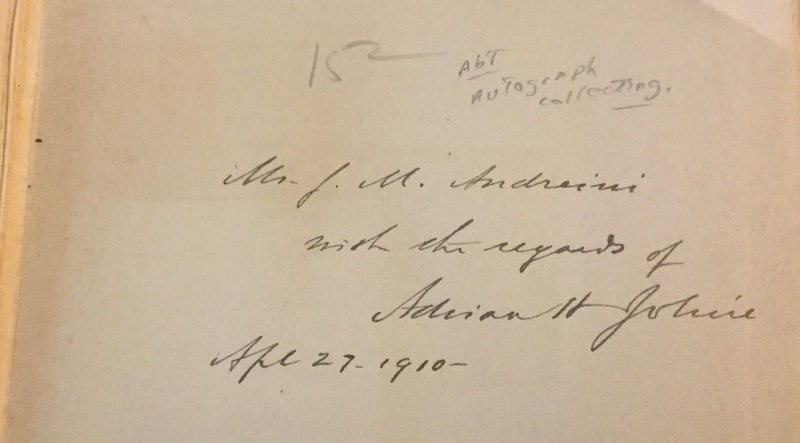 Above Joline's inscription, a former owner – definitely not Andreini or McMurtry – wrote that the book At the Library Table was "Abt Autograph Collecting!" 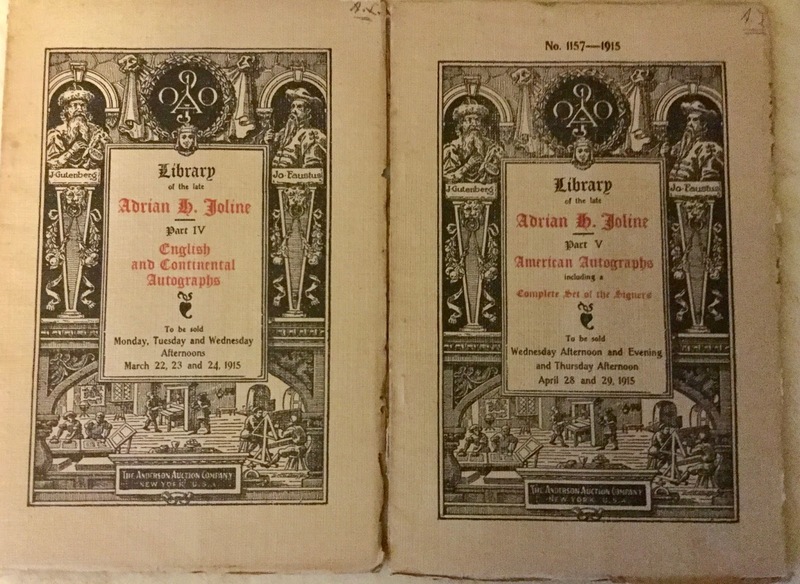 Two of Joline's books were printed in 1911, Peapack Papers and Edgehill Essays. 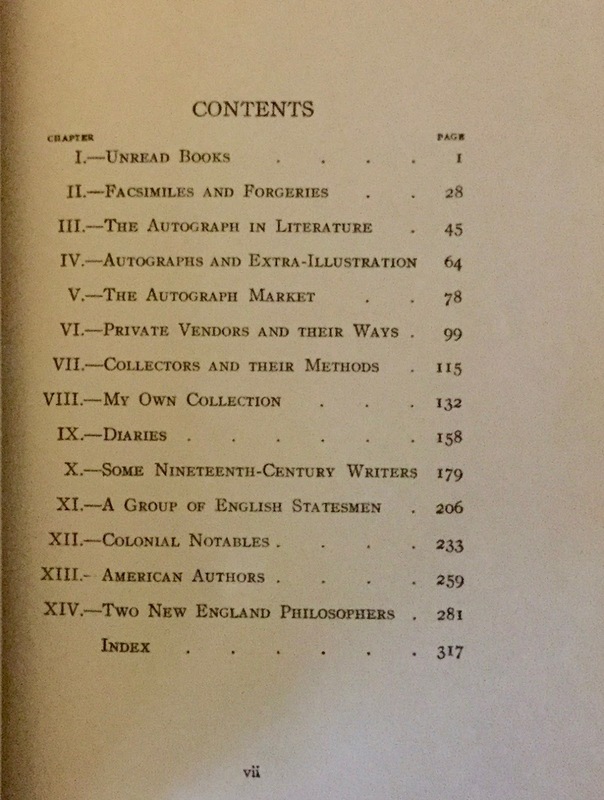 Currently, there is only one copy of the first edition of Peapack Papers listed on the web, but it is too rich for me at $150. 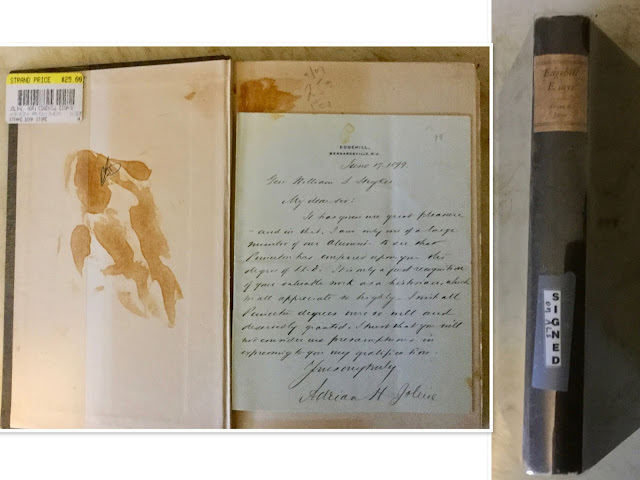 I did, however read the book online at archive.org . The chapters on trifles, collecting of books, and reading are right up my alley, while the very last chapter in the book provides an insight into Joline's frustrations as Receiver of Metropolitan Street Railways. 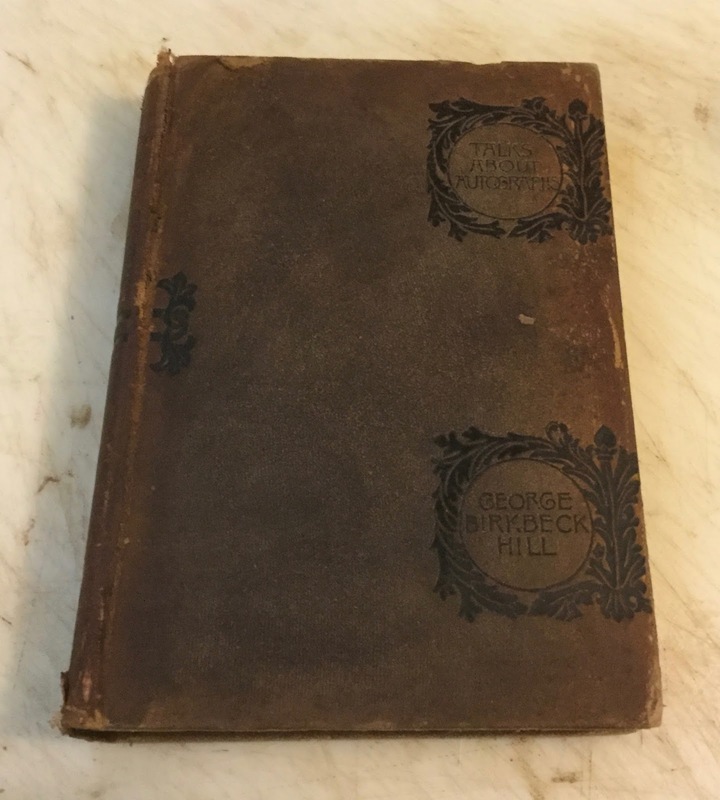 I purchased my copy of Edgehill Essays at The Strand in September 2011. Inserted in this book was an A.L.S. 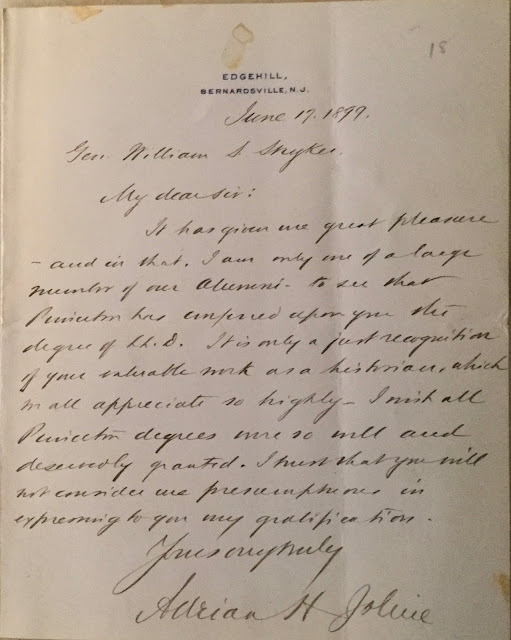 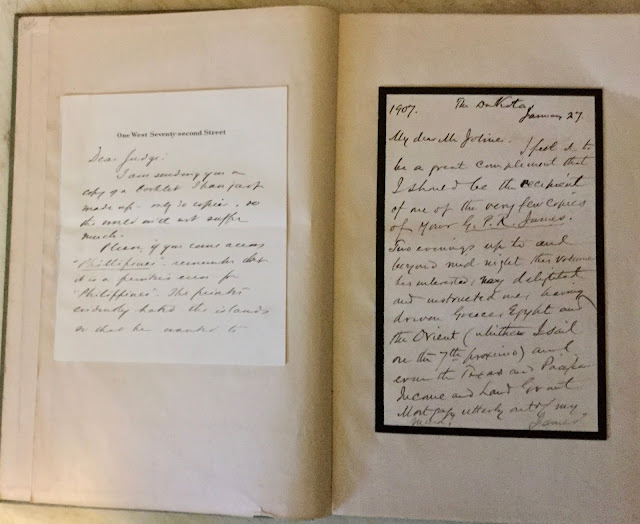 from Joline to the historian Gen. William S. Stryker, dated June 17, 1899, congratulating Stryker, a fellow Princeton alumni, for receiving a Doctor of Laws degree from Princeton. This letter was pasted of the ffep of the book, but Stryker was not the owner of this book; he died in 1900. 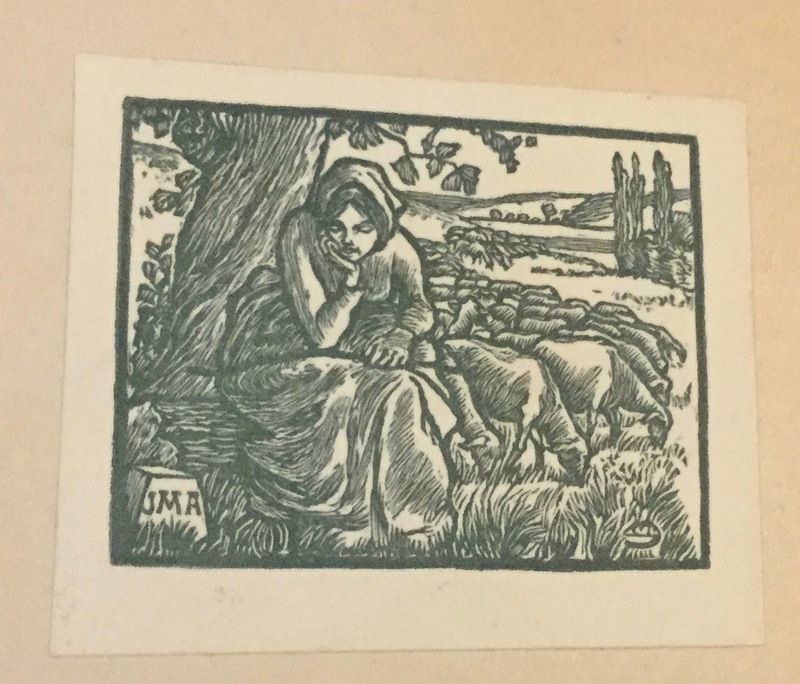 A former owner's bookplate was once pasted in the book. 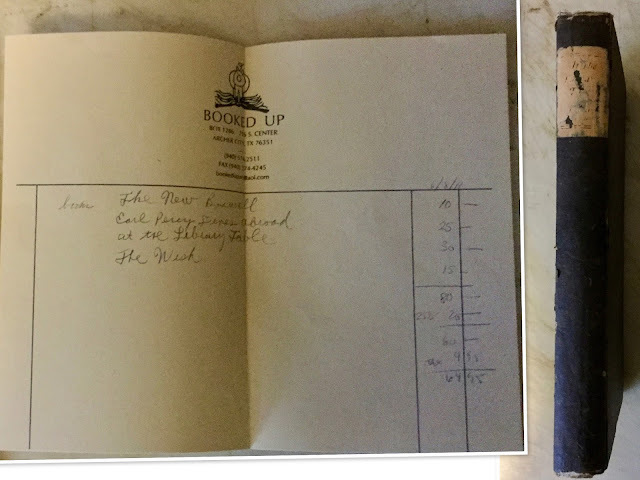 but was removed before I purchased the book. After Joline died, his wife found the manuscript of Rambles in Autograph Land among his papers, and the book was published in 1913. 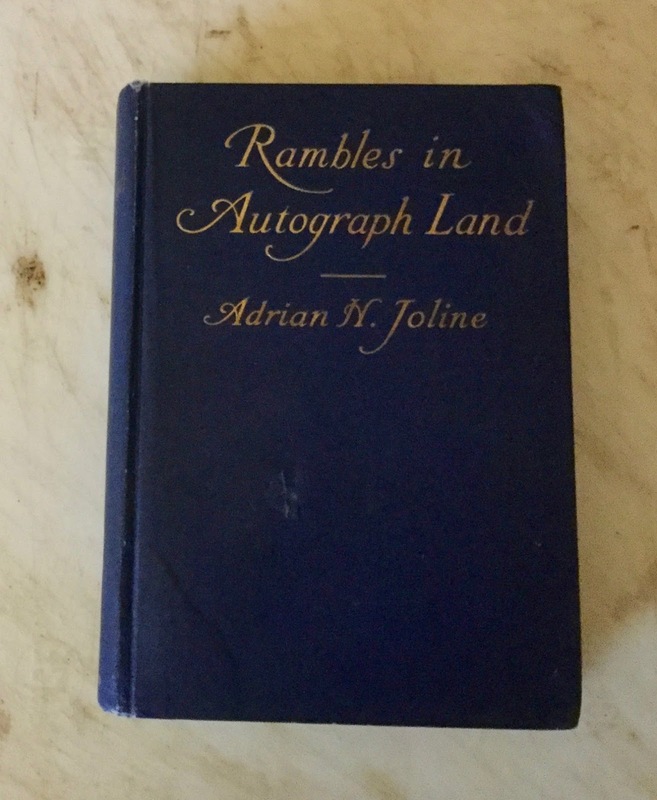 Joline's style of writing makes this book an enjoyable read even for non-collectors of autographs. 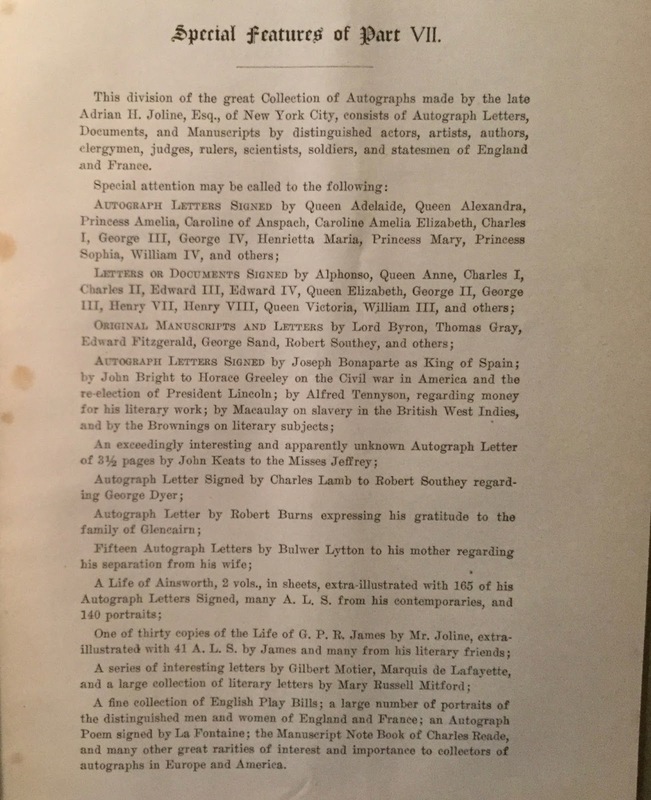 Joline wrote about his own autograph collection in chapter eight, and rereading that chapter helped me decide what I wanted for my birthday this year: the auction catalog of Joline's library! 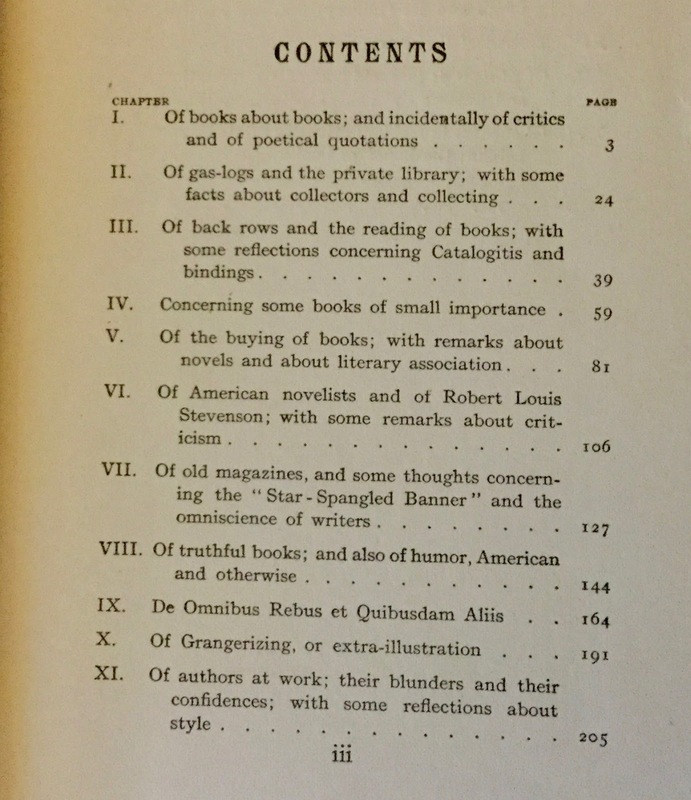 Don't strain your eyes trying to read the titles in the first image. Continue scrolling down for easier views. 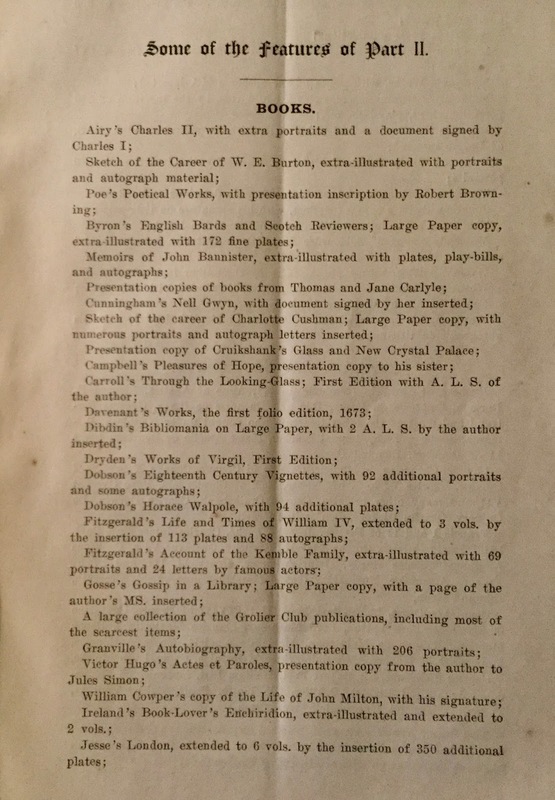 I acquired Part I from Chatham Bookseller. This catalog belonged to the American jurist Mahlon Pitney (1858-1924). Walter R. Benjamin was Pitney's agent during this auction. 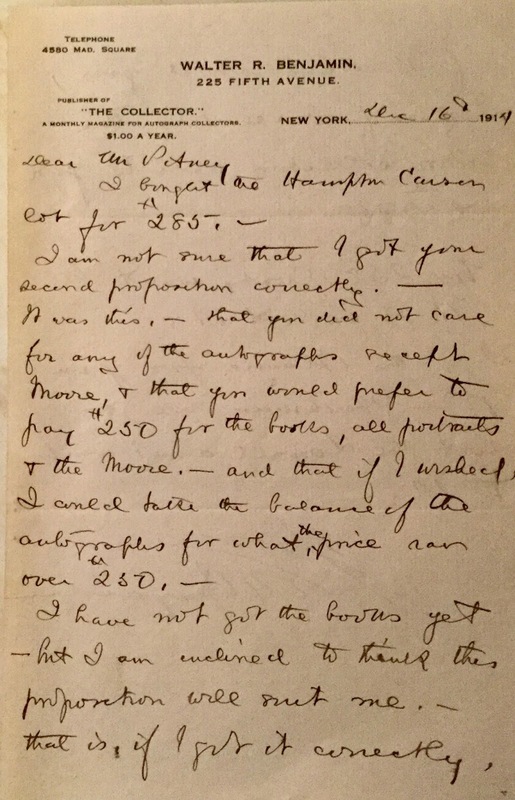 And three letters from Benjamin to Pitney that were inserted in the catalog provide an insight into Benjamin's dealings as Pitney's agent during the auction in December 1914. 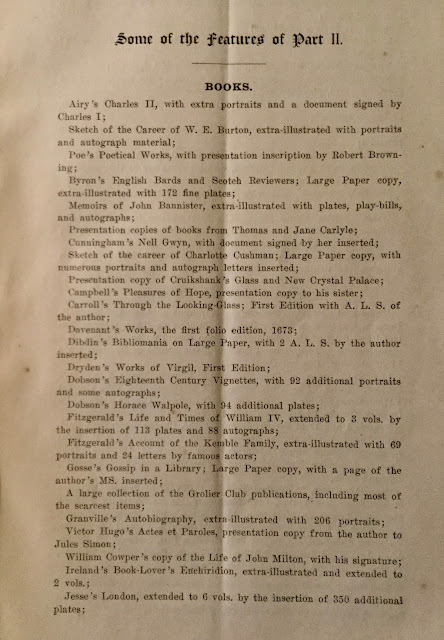 Benjamin bid on eleven items in Part I of the Joline Auction and won three of them for Pitney. 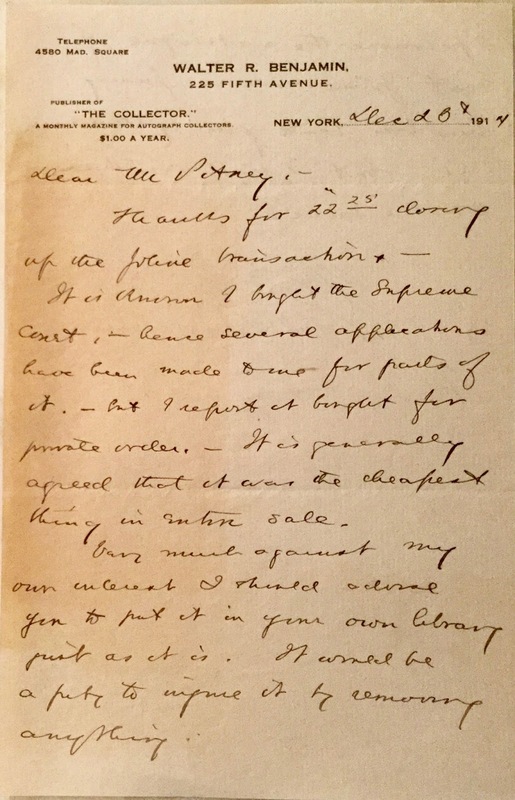 Letter 1, dated Dec 16th, 1914, details a misunderstanding concerning the first lot, the autographs of Supreme Court Justices in Lot #167. 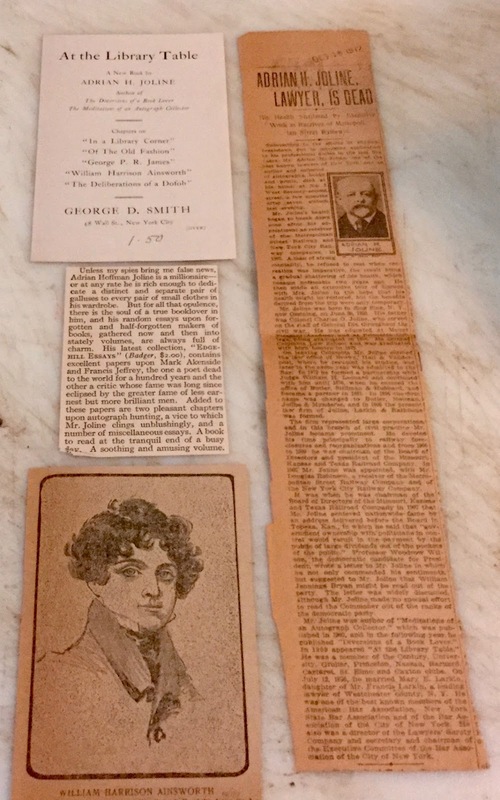 Benjamin won this lot for Pitney for $285. 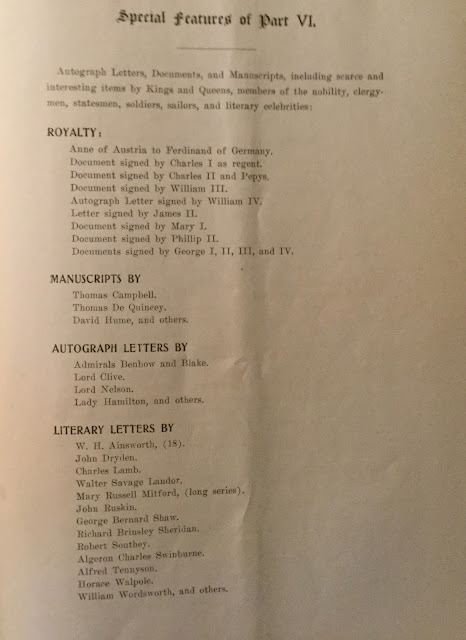 Benjamin was under the impression, however, that Pitney did not want the autograph letters that accompanied the books. Pitney wanted Hampton Carson's book on the Supreme Court because he was a Supreme Court Justice himself; President Taft appointed Pitney to the Supreme Court in 1912. Also in Letter 1, Benjamin mentions two unrelated items (Blaine & Lowell) that pertained to another auction (the Beechman Sale) in which he was bidding for Pitney. Letter 2 below shows how high Pitney was willing to go for each lot that he wanted. 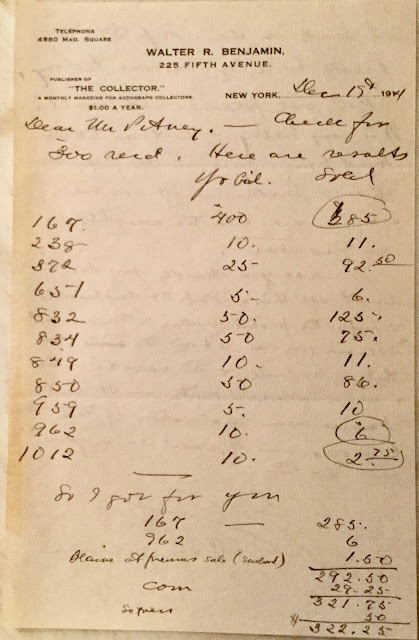 It also shows that Benjamin charged a 10% commission. 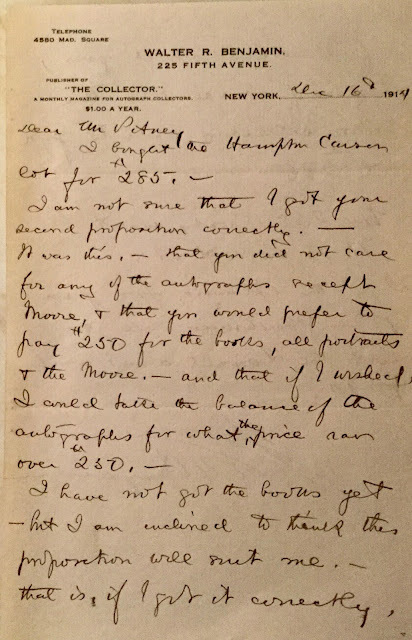 Benjamin was still discussing removing the autograph letters from the Hampton Carson books in this letter as well. #238 Very scarce legal document dated Oct 14, 1734 and signed by William Cosby, governor of the Provinces of New York and New Jersey. 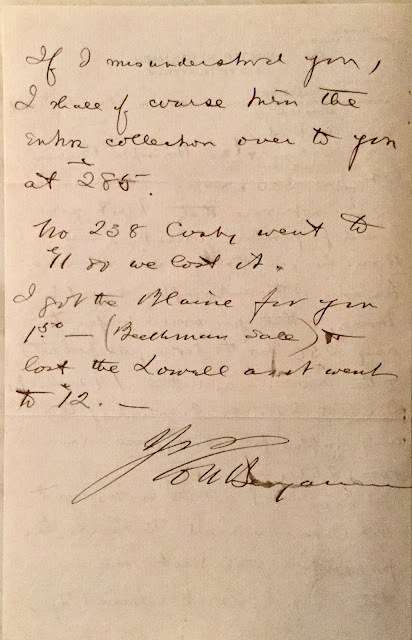 #372 An ALS dated Mar 1, 1813 from the inventor Robert Fulton to Gen. William Duane about Fulton's plans to attack the British Navy with torpedoes in New York waters during the War of 1812. 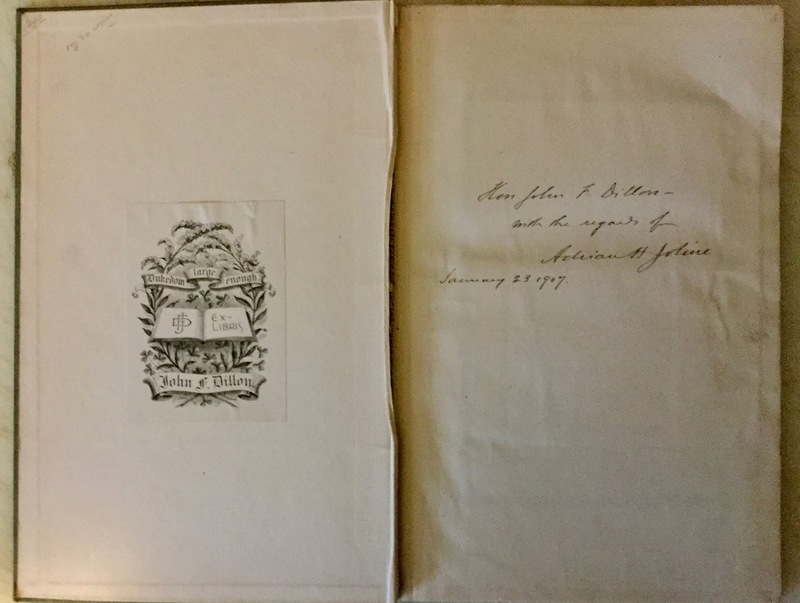 #651 Extra-illustrated 1883 book covering the court martial of Gen. Fitz-John Porter with nine A.L.S. detailing Porter's reinstatement. 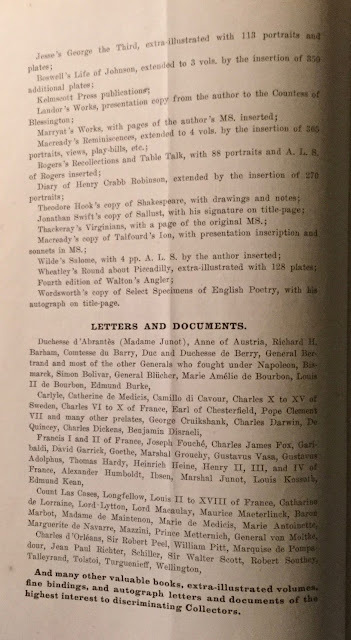 #832 Edgar Allan Poe A.L.S. with five portraits. 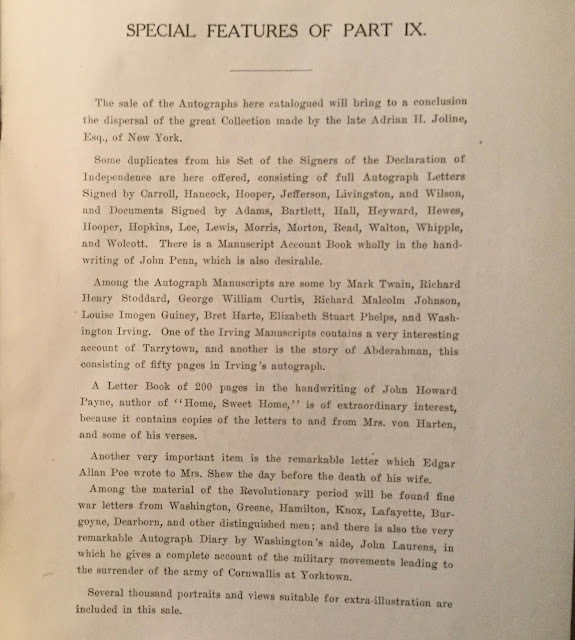 #834 Life of Edgar Allan Poe by Woodbury. A.N.S. from Poe inserted. 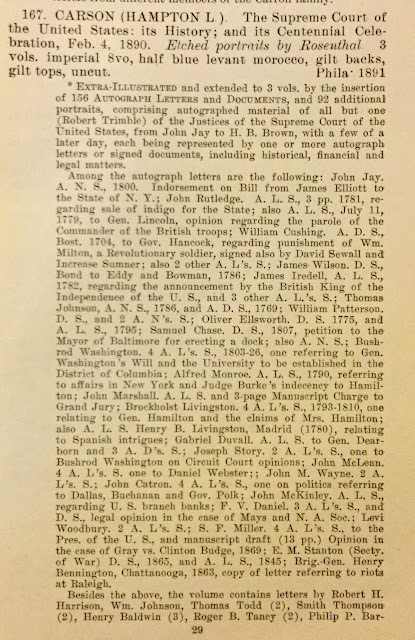 #849 Two 1802 addresses by Joseph Bloomfield, Trustee of the College of New Jersey (Princeton). #959 William S. Stryker–remember him?– his book on the Battles of Trenton and Princeton. L.S. of author inserted. 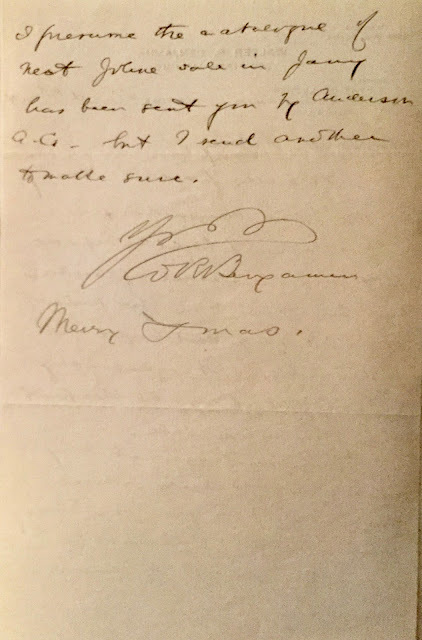 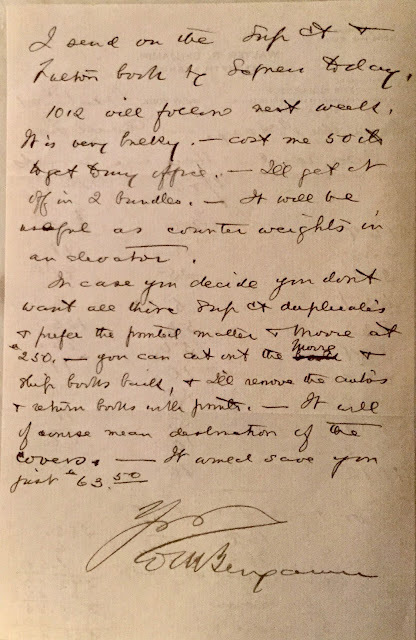 In the third and last letter, Benjamin reports that he received several requests for parts of the lot 167 on the Supreme Court but told the requestors that the lot was bought for a private owner. 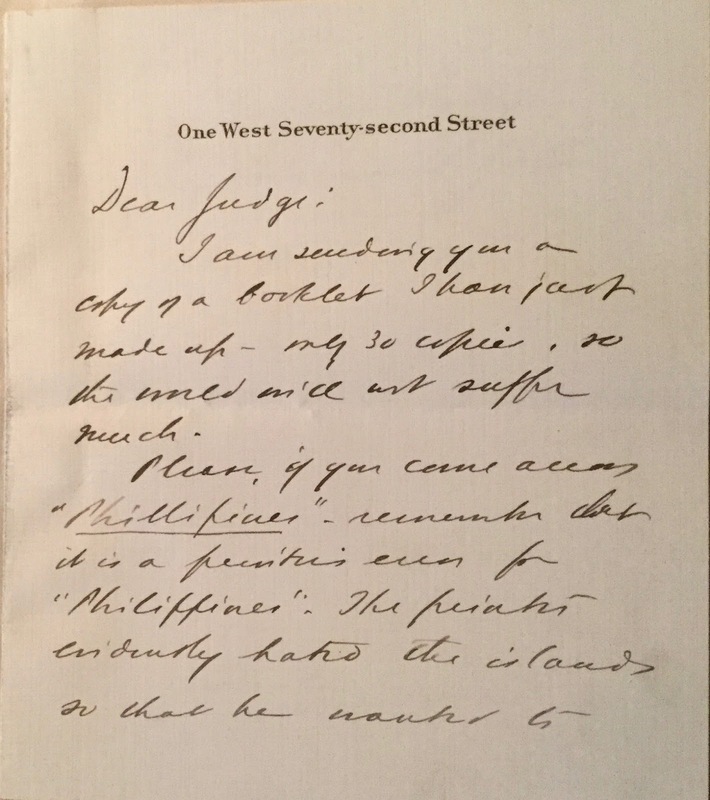 Moreover, he suggested that Pitney put the Supreme Court book in his library without breaking it up. Benjamin also reported that everyone seemed to think the Supreme Court lot was the cheapest thing in the sale to date. 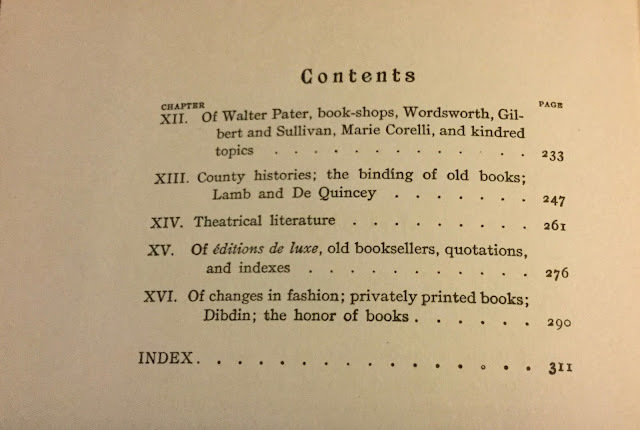 I bought Parts II thru VIII from Chatham Bookseller. The title for Part II is deceiving because this part also contains books about books published by the Grolier Club, the Caxton Club, the Bibliophile Society of Boston, and the Dofobs Society. 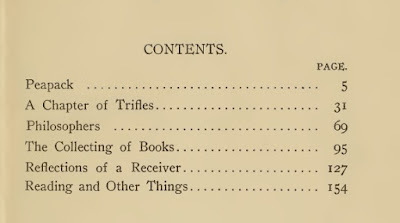 The titles of the other Parts more accurately describe their contents. 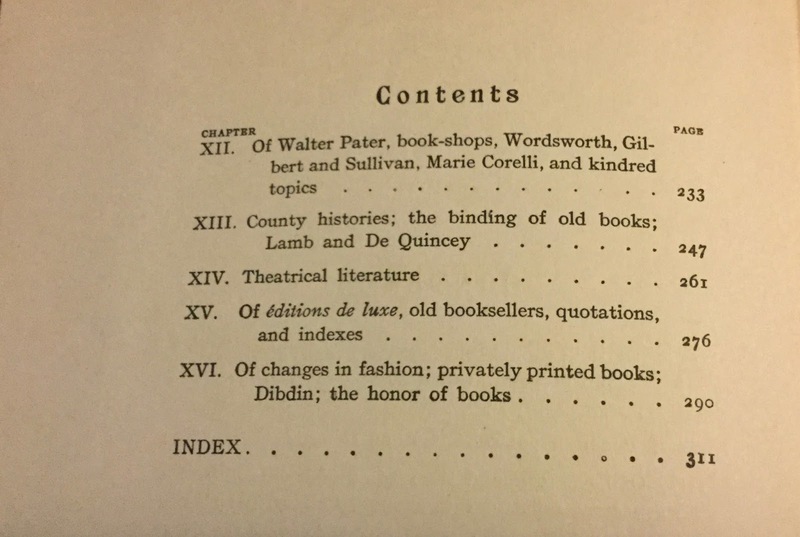 Parts II thru VIII were formerly owned by an A. Irving. 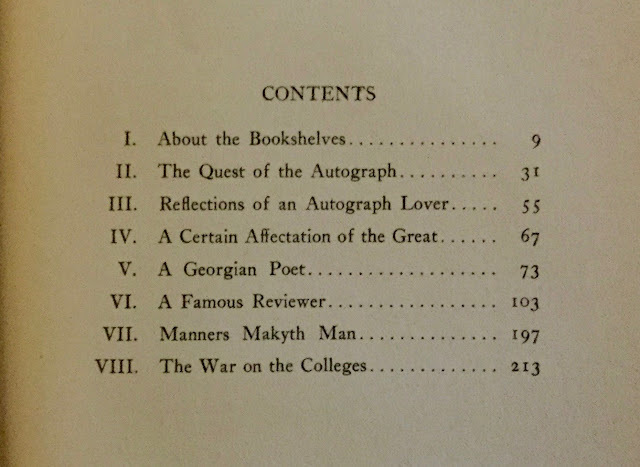 No clue who he was, yet. After acquiring the eight parts to the Joline Sale, I discovered that there was a ninth part to the auction as well. 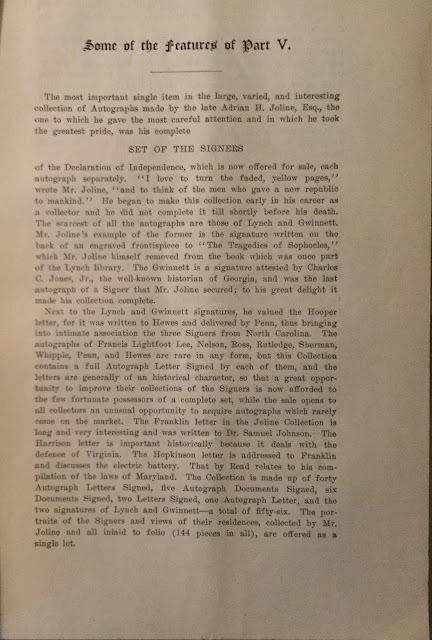 Fortunately, I was able to acquire Part IX from Donald Hawthrone, proprietor of Noah's Ark Book Attic. 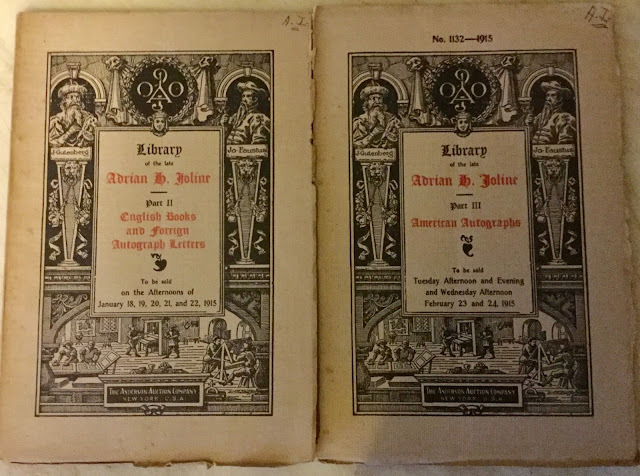 He has over 700 auction catalogs listed for sale on Abebooks. Come to find out he bought the archives of an auction house almost 60 years ago, most of which he sold to Rare Book Hub for their database. 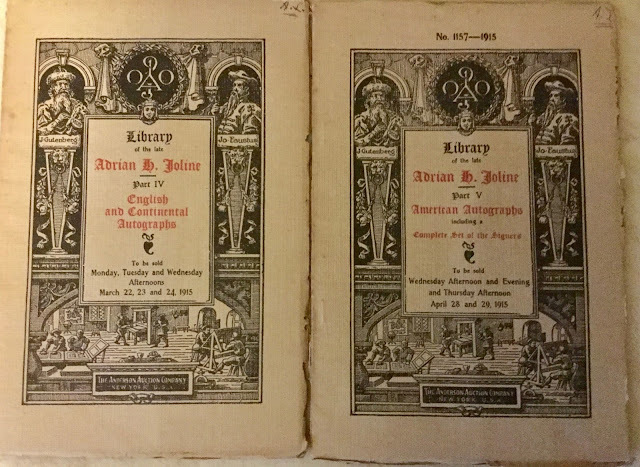 The 700 catalogs remaining, including Part IX of the Joline Sale, were duplicates. 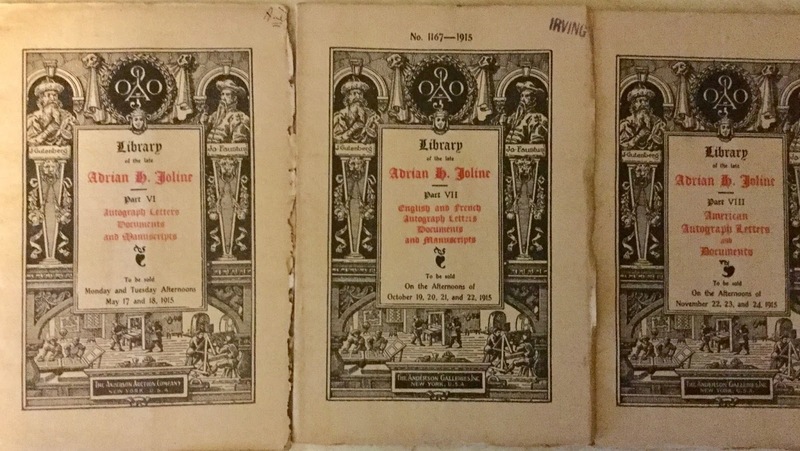 The Joline Sale was spread out for more than a year, from December 15, 1914 to February 24, 1916. All told, there were over 6500 lots, the majority of which contained autographs, autograph letters signed, and manuscripts from Joline's autograph collection. Almost all of the books were listed in Parts I and II, and many of the books were extra-illustrated with numerous letters and portraits. 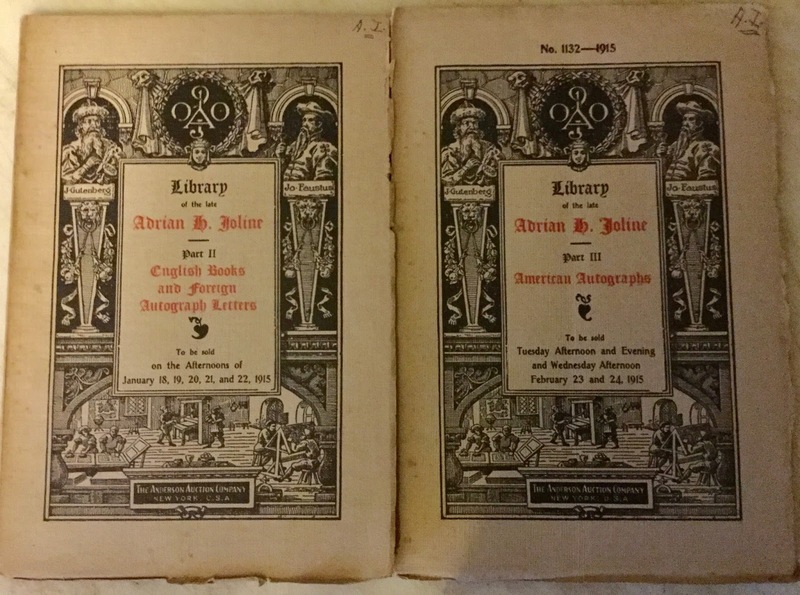 I have one book in my library from the Joline Sale. 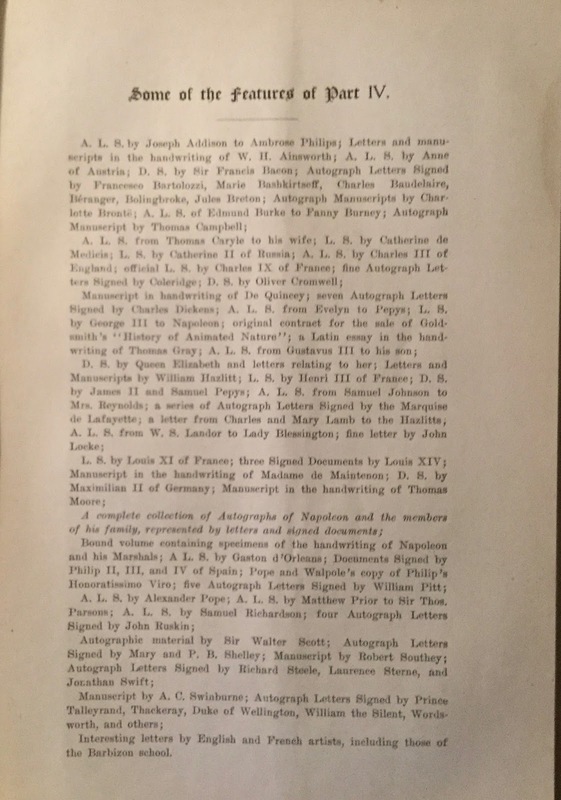 And the person who bought the book at the auction appeared to be one very happy buyer! 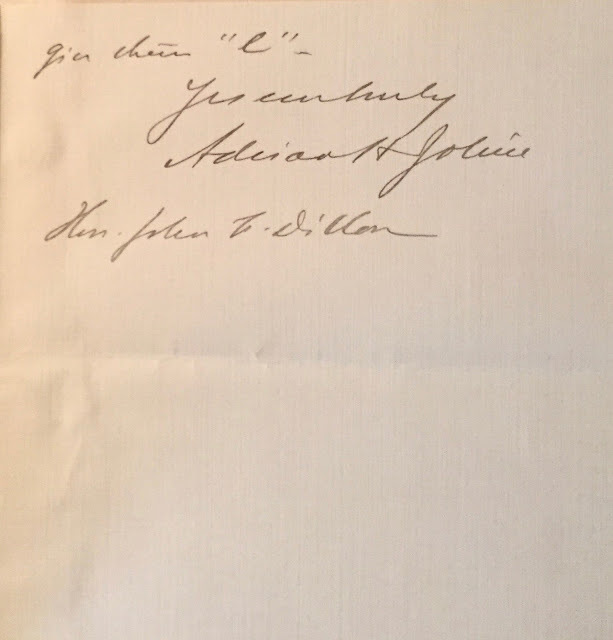 On Wednesday, January 20, 1915, the educator, author, and Adrian H. Joline collector, Curtis Hidden Page (1870-1946), attended the third day of Part II of the Joline Auction, and bid on lot # 676: Talks about Autographs by George Birkbeck Hill. The book was bound in rough calf and Joline's bookplate was pasted on the front pastedown. 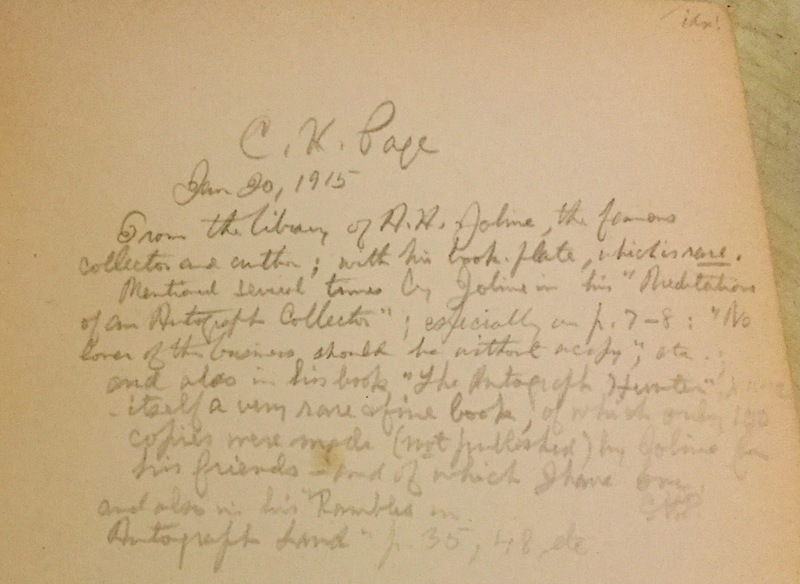 I don't know how many times Page had to bid on the book, but that book had his name on it, and he won the auction.